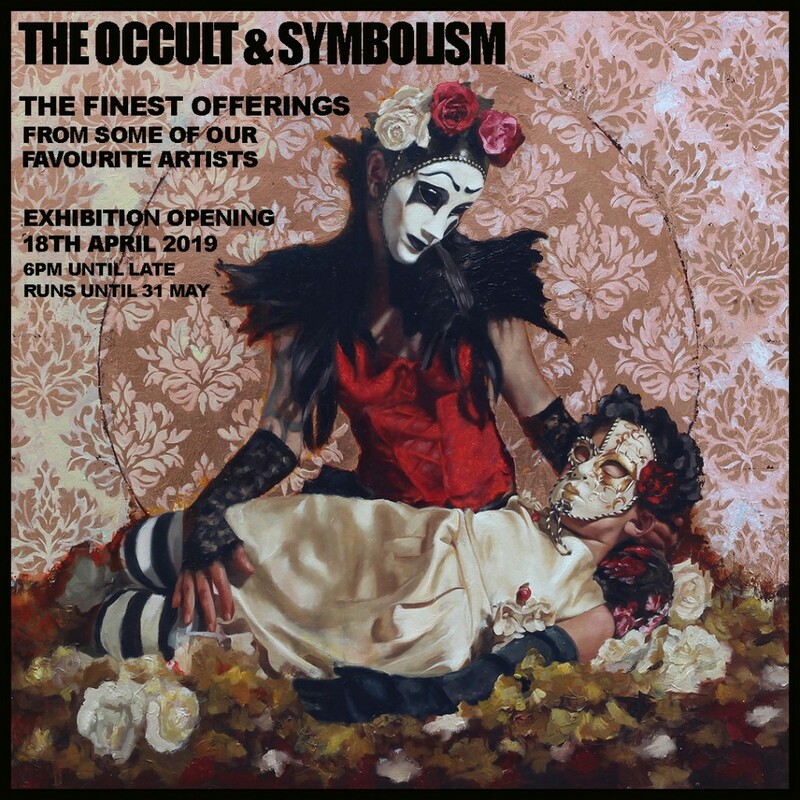 On Thursday 18th April we open our next group exhibition, The Occult & Symbolism, featuring a selection of art work from our top Masters and emerging Contemporaries. Join us before the Easter break for an evening of fine art, sculpture, live music and Easter wishes. OPENING RECEPTION: Thursday 18th April from 6pm until late. The exhibition will be on display until the end of May. Please RSVP to info@theunderdog.london for the guest list. Our featured artists are from the UK, Germany, Italy, Denmark, LA, Vancouver and Poland. 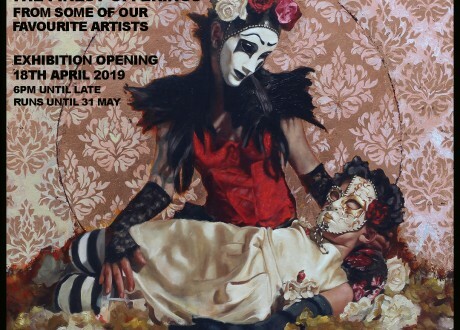 The art work is exclusive to The Underdog London: ANNE JUUL CHRISTOPHERSEN, BRAD GRAY, CRISPS, DANNY GREENE, KIERAN INGRAM, MATT ADAMS, MICHAEL HENLEY, MASON STORM, ROSSO, SAINT SATURDAY, SCHOPH, SYLWIA MAKRIS, TOMASZ GORNICKI, WILL TEATHER. Whether we know it or not, The Occult and Symbolism, is a big part of all of our lives, from historical buildings to bill boards we are all bombarded with Occult Symbolism every day, sometimes sinister sometimes benign, always present. From corporate logos to cults, secret societies and establishment crests we can find intelligent, powerful and unnerving designs of meaning all over our cities, in our literature, art, film and in almost every aspect of our lives. Our cultures are saturated in it. How much influence does this have over us? Is it just marketing? Mumbo jumbo? Fantasy? Well certainly not according to the most powerful echelons of our society, industry, government and corporates. From hidden meanings and symbolism in ancient art, to the most obvious and almost comical occult’ish logos, they have become an important facet to our being and effects each of us deeply. Subliminal or intentional, the hidden isn’t always unclear and the visible isn’t always what it may seem. Our next group show is inspired by the occult symbolism that we can all relate to, maybe even feel threatened by, but mostly just misunderstand. Each piece in the exhibition is the artist’s interpretation of the topic, that is at least interesting to most, if not essential to some!